Something else old has become new again at Kings Island. Rather than being reverted back to the way it was, the ride formerly known as Tomb Raider: The Ride has become an all new dark ride experience known as The Crypt! Guests enter the freshly opened chamber and follow a path surrounded by cobwebs, ancient artifacts, and an assortment of decaying human remains. Of course, the fun doesn’t stop there. Guests are then warned not to enter by the shrill and demonic howls of a large bat-like creature. Not long after that, the willing victims are locked into their seats where they encounter a ride experience that is completely unique to anything they’ve ever seen at Kings Island. What once was a gentle dark ride experience is now an all new intensive ride which is certain to make even the most experienced thrill seekers scream in terror! The Crypt features numerous and repetitive flips, quick drops, and many other extremely disorienting maneuvers. Riders should be advised that although the ride is the same physical ride as Tomb Raider: The Ride was, this offers a new program with a much more intense and thrilling program. Please take this into consideration when choosing to ride The Crypt! The mystery construction continues over Swan Lake. Recently more earth has been moved and more footers have been installed. Many have speculated about what exactly this project is going to be but no matter what it is, the park assures us that it will be spectacular! It was nearly 33 years ago that Evil Knievel made his legendary jump over 14 Greyhound busses in the parking lot at Kings Island. Evil Knievel may not be with us anymore, but his son, Robbie Knievel, will take the reigns and surpassing his father’s jump by jumping 24 Coke Zero trucks! In what will certainly be one of the most talked about events of the year, ‘Kaptain’ Robbie Knievel will do what is expected to be the last big jump of his career while attempting to outdo his father in Kings Island’s parking lot on May 24th, 2008 at 7:00pm. This event is FREE with park admission! Click here to see photos of The Crypt, a Robbie Knievel display that is currently featured at Kings Island and Swan Lake construction! Kings Island is proud to salute our active members of the military with a new military discount program! Active members of the US military can receive up to six tickets at a special reduced rate at Kings Island's front gate when presenting an active military photo ID. Check out VisitKingsIsland.com for details! Do you want the latest information sent directly to your cell phone? Sign up for KICentral's official mobile club and receive text alerts with the latest news and information about Kings Island! Signing up is fast and free! Click here for more information about KICentral's official mobile club! You still don't have your 2008 Kings Island season pass? What are you waiting for! Purchase a 2008 season pass and get an entire summer of fun for one low price. If that's not enough, you can upgrade to a Gold Season Pass and get an exclusive parking area, special meal deals, double rides on some of your favorite attractions and much more. Still not enough? Purchase a Platinum Pass and get FREE admission and FREE parking to all Cedar Fair parks, such as Kings Island, Cedar Point, Geauga Lake's Wildwater Kingdom, Knott's Berry Farm and more! Click here for more information and to purchase a Kings Island, Kings Island Gold, or Cedar Fair Platinum Season Pass! Is a season pass not right for you? Avoid the long lines and pay only a fraction of the regular gate admission buy purchasing your single day admission tickets on the park's official web site, VisitKingsIsland.com. Remember these deals are ONLY available through the web site, so purchase online and print at home for the best value and fastest way to experience Kings Island! Are you an avid Kings Island fan or do you casually visit once a year? It doesn't matter! KICentral.com is the site for you. Why not register on the forums of KICentral and tell us about your thoughts and experiences involving Kings Island! Registration is fast, FREE, and easy. 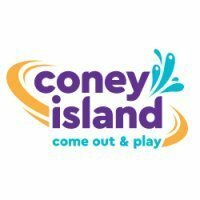 Don't forget to keep checking KICentral.com for the latest news, rumors and information about Kings Island amusement park! Cool, this makes me excited about riding The Crypt. I hope we get some pictures from those who went today. I really like how the line looks so far. I'm sure it would look even better without bright flashes going on the scenery! That way it would have a much creepier eerie feeling! I cant wait to see it in person!Its going to be very fun!! So is the actual ride chamber completely empty now? or does it have theming to it? Just my opinion but the picture do not impress me, looks like your typical haunted house attraction you find all over during the fall. (Let's buy a bunch of cobwebs, skulls and some bats/demon figure place them around the room and call it a theme.) Paramount was horrible maintaining TR:TR but when it first opened it was a great highly themed attraction, I guess I'm just sad that what they tried back in 2002 didn't work out, as I love themed rides that actually have a story line. I was able to ride the Crypt today, and I really like the new ride program. Yes, it is a lot more intense then the old ride program, but it is also a lot more fun, in my opinion. And with regards to the construction progress. Several more trees have been removed from behind the Antique photo building. Additionally, more trees have been removed near The Crypt`s exit/ train tracks. So whats the actual ride chamber like now? I thought so too, and I also don't like how you can see the black metal stands holding up the demon-looking things in this picture. I can't wait to see it in person and am to see they made an effort to retheme it, but the new theming does look lower quality and out of place (seems more suitable for a haunted house),but I'll wait to check it out in person before I give a final judgement. That being said, I can't wait to try the new program and the continuing construction of the 2009 attraction has got me very excited! i wasnt to found of the last program. I though it could have done more. I hope this one has the satisfaction that a great ride has to offer. I like the themeing as well. Cant wait until next weekend. So what's the music like now? The same? New? nothing at all? And what's the actual ride chamber like? What replaces the Shiva mural? Sorry about all the questions, just curious! Also, what are the special effects like now? Any fog or anything working? What about geysers? Any theming at all left in the ride chamber? Looks like the lake is gone for good now. Those black stands look trashy. GRR. AND...it still doesn't fit in rivertown! -No special effects in the actual ride chamber. -All themeing has beem removed from the ride chamber except for the back rock wall and the lava pit are there, but not lit up or used. -They played techno during the ride sequence. -It is VERY intense. Plus you keep thinking you're going to hit the building's walls. =) Cant wait for the new ride program! Sounds like something extreme!!! Sounds to me like they would have been better off just taking down the building and calling it "Giant Topspin" then trying to do some cheesy, county fair type themeing. Why does Cedar Fair hate themeing so much? It has nothing to do with Cedar Fair hating themeing. In fact, this is themed more than they had originally planned. You people could love or hate Tomb Raider, but the fact of the matter is, it had more than its fair share of downtime. Accordingly, Cedar Fair wasn't ready to dump millions upon millions of dollars into themeing a device which has already had extensive work done to it, and could potentially disprove itself from being a regularly operational ride. By the way, much of the black supports and things of that nature that you are seeing aren't visiible when you're in the queue. I used the flash on my camera so it illuminated a lot more than a person can see while waiting in line. I encourage everyone to ride The Crypt. I think you'll be overall pleased with your experience. Well, tearing down a building isn`t exactly cheap. Not to mention that when the weather gets to be 90 degrees with a heat index of 100+, I`m sure many people will be glad to take a breather inside in the air conditioning. Although, the ride is certainly a lot more intense then it had been in years past. However, I can honestly say that I can`t wait to get back on it and ride it again! It was intense but it was also a lot more fun then what TR:TR had been. While the ride no longer relies on the theming for the storyline, the overall thrill that comes by letting the ride do what it was designed to do makes the ride, in my opinion, a lot more thrilling and fun. I don't disagree the when the ride was TR:TR is had plenty of problems, and deteriorating themeing. My problem with the crypt, having not actually been on the ride yet, is that it appears to be very local carnival in it's themeing. I would like to think of Kings Island as a theme park, not an amusement park, which I fear it will become. Cedar Fair does not theme, none of it's parks carry out any sort of themeing, even Knott's has lost what it had, and it competes with Disney. another website just did an article on the stage coach attraction, and pointed out that the once scenic ride it now a view of mostly steel coaster columns. I just hope the when Scooby decides to move on the Cedar Fair replaces it with a quality dark ride. I would like to think of Kings Island as a theme park, not an amusement park, which I fear it will become. 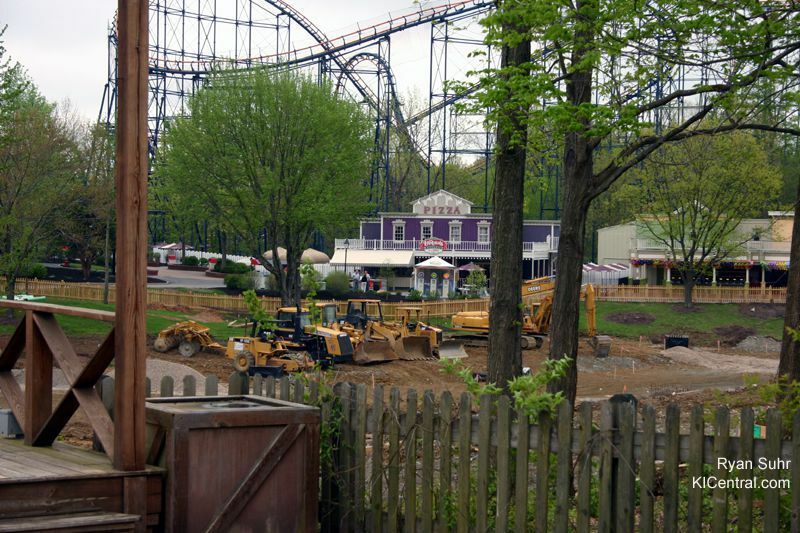 "Helbig considers 2008 the first full year as a real Cedar Fair property. After 35 years as a theme park, he says, it’s now edging closer to the concept of amusement park." Definitely pleased with my Crypt experience today. Surely, there could have been some strobe lights and such, but the program was simply better than as Tomb Raider. Thanks for the update and the pictures to go along with those updates. I noticed that the LaRosa’s Pizza building is purple. Is this new or when did that happen? I always remembered it to be red. Also Ryan in your article you mentioned that there where some new footers in the area, that was great to hear I think. Yes, I`ll agree with you Ryan. There are certainly some very high g moments now on the crypt. I think that with this new program, this ride will be the surprise hit of the year! I know I`m already looking forward to my next ride on it! Yes, the Rivertown Pizza building has had a purple paint job for several years now. In fact, I want to say it was painted purple back when Tomb Raider was installed in 2002. Nope. It has been purple since at least the 2005 season. The above is an image I took at the park on a very rainy day in October of 2005. The whole reason I went to the park that day was to take some pictures of WinterFest preparations (including the Christmas tree barge that appeared in the now defunct Swan Lake). You can clearly tell that the LaRosa`s in Rivertown is purple in that image. While I am excited about a new ride program for "The Crypt", I HATE the new themeing. Looks very amatuer, and I would expect more. For those of you that have worked designing a haunt attraction during Halloween, I am sure you can understand how crappy the demon statues look with a black tripod stuck up their butts? Then, get some cheap looking spiders and throw them around and you got it! Sad.. Then there are the ridiculous names for some of the attractions. I understand that it takes a lot to name the attractions because of possible conflicts with copyright issues, but still.. I think Cedar Fair could have spent some more time brainstorming. Finally, I am a bit nettled that there is nothing new at Kings Island this year besides new paint, new signs, more trashcans, and cheap rubber spiders. I am pleased about the construction going on, however. Hopelly, next year will be cool. The only snaps I will give Cedar Fair is the park looks cleaner. I will say that so far, I am VERY disappointed. I do not think that Kings Island will be in my travel plans this year. Wooo I wonder how many people I will made mad with this post?